Thanksgiving Week is upon us. What used to be a one-day, all-you-can-eat turkey feast has somehow morphed into the biggest shopping week of the year. After you consume your weight in stuffing and pumpkin pie, you have the privilege of standing in line at 3:00 a.m. to fight the angry (and no longer particularly thankful) masses for a $99 iPhone 6 or a $200 50″ Panasonic LED TV. And just when your retail high is starting to wane, you can spend all day Monday getting your fix with the ridiculous Cyber Monday deals online. Luckily, in the wake of all this consumerism, there is another, lesser known day during Thanksgiving Week that is more seasonally appropriate: #GivingTuesday. Feeling guilty about elbowing that seven-year-old girl out of the way to get your hands on the last Singing and Talking Elsa and Anna 2-pack at Toys “R” Us? You can make reparations and get back on Santa’s Nice List by participating in this annual day of giving. #GivingTuesday is a global day dedicated to giving back. It is also a social-media movement to encourage giving. All you have to do is find a way to give–time, money, goods, or services–on December 2, 2014 and then post about it online with the hashtag #GivingTuesday. Encourage your family, friends, company, and other organizations (clubs, sorority/fraternity, etc.) to join you in giving. For more information on #GivingTuesday, you can visit this website. If you’re reading this blog, then it’s safe to assume that you value books and literacy. So, for #GivingTuesday, I encourage you to give the gift of reading. There are thousands and thousands of book- and literacy-focused non-profits around the country. Of those thousands, I have selected ten excellent organizations, which are listed below (at the bottom of the list, please see my note about spending your donation dollars wisely and giving to organizations that will use your donations effectively). The following organizations provide books to people and groups who don’t have easy access to them (I’ve selected organizations with a wide variety of target groups–kids, developing communities, soldiers, prisoners, etc.) and/or help provide quality literacy education. Five of these organizations are those to which you can give money, and five are organizations to which you can give new or gently used books. 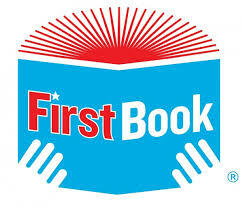 First Book provides access to new books for children in need. To date, First Book has distributed more than 100 million books and educational resources to programs and schools serving children from low-income families throughout the United States and Canada. First Book is transforming the lives of children in need and elevating the quality of education by making new, high-quality books available on an ongoing basis. First Book has a four-star rating on Charity Navigator (see my note about Charity Navigator at the end of this post). A whopping 97% of all monetary donations goes to providing books to kids (2% goes to management costs, 1% goes to fundraising). Click here to donate to First Book. We envision a world in which all children can pursue a quality education, reach their full potential and contribute to their community and the world. To achieve this goal, we focus on two areas where we believe we can have the greatest impact: literacy and gender equality in education. We work in collaboration with communities and local governments across Asia and Africa to develop literacy skills and a habit of reading among primary school children, and support girls to complete secondary school with the life skills they’ll need to succeed in school and beyond. Room to Read partners with communities across the developing world, establishing libraries, constructing classrooms, publishing local-language children’s books, and training educators. Room to Read has a four-star rating on Charity Navigator. You can expect 83% of your donation dollars to be spent on programs; 17% goes to overhead. 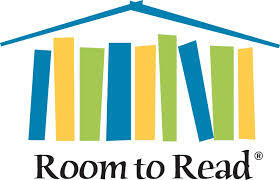 Click here to donate to Room to Read. CLI focuses on literacy instruction by developing collaborative networks of schools that they use as training sites for local teachers. The literacy training they provide helps improve and sustain quality teaching and increase student achievement. On the national level, the big news in school-based literacy instruction is the adoption by the vast majority of states (46) of the common core standards. The new standards emphasize the importance of reading mastery by 3rd grade, non-fiction literacy instruction across disciplines, and writing. To meet new standards, teachers will need effective professional development, highlighting the critical role of organizations such as Children’s Literacy Initiative (CLI), which has continued to expand its model to additional schools over the past year. Preliminary external evaluation results of CLI’s expansion (funded as part of a federal innovation grant) indicate very high (99%) implementation fidelity. One risk of expanding a model is dilution of its key elements, resulting in poorer outcomes. High levels of fidelity are an important consideration for donors interested in growing successful models. A special note for all of my fellow Teach for America teachers and alums: since 2004, CLI has offered a four-day intensive literacy institute for Teach for America teachers who have completed their first year of teaching. The training provides “specific, high-impact literacy strategies to help children become readers, writers, and thinkers.” Best of all, they raise funds specifically to allow Teach for America teachers to attend the training on scholarship! Click here to donate to Children’s Literacy Initiative. LitWorld is a 501(c)3 non-profit organization creating permanent positive change in the world through on-the-ground innovative solutions to the profoundly hard-to-tackle issue of illiteracy worldwide. We highlight the power of children’s own stories and access to diverse, quality reading material as two key foundations for success. We work in partnership with locally based organizations to build sustainable community impact. LitClubs and LitCamps: LitClubs and LitCamps are reading- and story-based programs targeted to girls ages 10-14. They help girls develop the “LitWorld 7 Strengths”: “Belonging, Curiosity, Kindness, Friendship, Confidence, Courage, and Hope.” There are fifteen LitClub and LitCamp locations worldwide (such as those in Haiti, Nepal, and Kosovo) that reach 2,500 girls annually. Click here to donate to LitWorld. The mission of the Books for Kids Foundation is to promote literacy among all children with a special emphasis on low-income and at-risk preschool-aged children. Books for Kids creates libraries, donates books, and implements literacy programs to develop the critical early foundation and skills which young children need to be successful in life. Books for Kids doesn’t just provide one or two books to children; they help create entire gorgeous, amazing, colorful, beautiful children’s libraries (like the one in this photo) all over the country. They furnish libraries within existing preschools, Head Starts, and day care centers. Their goals are to enable children to discover the world of books and to familiarize them with standard library-lending practices. “Each library is created with an age-appropriate collection, which includes the core group of standard titles recommended by the Department of Education and early childhood literacy experts. Books are carefully selected to reflect the backgrounds and life experiences of the children in that community.” And, in addition to an array of library-bound books, the libraries are equipped with child-friendly chairs and tables, colorful carpets, listening centers, puppets, print-rich murals, and more. Click here to donate to Books for Kids. Also, if you live in the New York area, you can donate books to Books for Kids (for book guidelines and more information, click here). If you don’t have dollars to give, don’t worry; you can donate new or gently used books to any of these wonderful organizations. And remember: book donations are also tax-deductible! 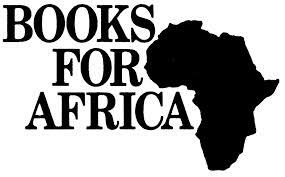 Books For Africa is the largest shipper of donated books to Africa. Since 1988, the organization has shipped 31 million books to 49 different countries. In the last year alone, they shipped 2.6 million books to 27 countries. Books For Africa has a four-star rating on Charity Navigator. For information on donating new or gently used books to Books For Africa, please click here. Better World Books is the only FOR-profit organization I have included on this list. But, fret not, they’re not some evil corporate giant. They’re kind of like TOMS (the shoe company that donates a pair of shoes for every pair of shoes you purchase); they are an impact-based corporation with a similar one-to-one program. Every time you purchase a book from BetterWorldBooks.com, they donate a book to someone in need. They donate books through hundreds of non-profit organizations (you can check out their Impact Map for more information). They have reused or recycled over 142 million books (that’s over 80 million pounds of books saved from our landfills). BONUS: If you donate books to Better World Books, they’ll pay for the shipping costs! But keep in mind that, because Better World Books is a for-profit organization, your donation will not be tax deductible. Click here for information on how to donate your books to Better World Books. I am a voracious reader and at the beginning of the Gulf War, I had a closet full of paperback books. Books that were not being used. So instead of selling them at the used book store, I packed them up in small care packages and sent them out to all the soldiers, sailors, marines and airmen I had addresses for. Within a few weeks, I ran out of books before I ran out of addresses. Friends and family members began donating their paperback books and in the end, over 1000 books were sent to the Gulf. After the war, we received many thank-you notes from soldiers who got one of our books. Unless it was time for them to fly back home, mail-call days were one of the most anticipated events of deployment. Regardless of why the military is deployed, the men and women of our armed services are there for us. They deserve our support and if we can make their deployment easier, then all the better. On the Books for Soliders website, you must first register for the site’s forum (for privacy purposes). Once registered, you can view specific book requests from deployed troops. Based on those book requests, you can then send care packages to troops with their requested books . . . and throw in DVDs, games, and relief supplies, if you’d like! To join the forum and see specific requests, click here. 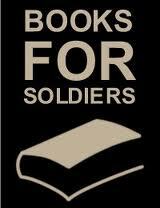 You can also give money to Books for Soldiers here. “Books To Prisoners (BTP) is a Seattle-based nonprofit organization that sends free books to prisoners across the United States. BTP believes that books are tools for learning and for opening minds to new ideas and possibilities. By sending books to prisoners, we hope to foster a love of reading, to encourage the pursuit of knowledge and self-improvement, and to break the cycle of recidivism. BTP relies on book donations to answer all of the requests. For information on sending book donations to BTP, click here. You can also give money to BTP here. Sheltering Books, Inc. is a non profit 501 (c)(3) charity started by Mackenzie Bearup of Alpharetta, Georgia. Sheltering Books provides adult and children’s books for homeless shelters across the USA. Today the charity is run by both Mackenzie and her brother Benjamin. Benjamin focuses on providing books to our military across the world. 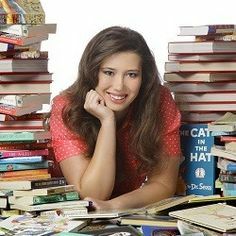 Mackenzie was only 13 years old when she began collecting children’s books for shelters and her book drive quickly took off. Here is a clip on Mackenzie and Sheltering Books that appeared on NBC Nightly News. To give books to Sheltering Books, click here. The organization must be a 501©(3) registered with the IRS in the United states (but the scope of the charity’s work can be international). Public support must be more than $500,000 and total revenue must be more than $1,000,000 for the most recent fiscal year. The organization must have filed Form 990 (the tax form required for organizations exempt from income tax) for 7 years. Charity Navigator evaluates two broad areas of performance, financial health and accountability & transparency, to provide givers an idea of how efficiently a charity will use donations. Charity Navigator’s ratings show “how efficiently we believe a charity will use their support today, how well it has sustained its programs and services over time and their level of commitment to being accountable and transparent.” You want a charity that has a four-star rating on Charity Navigator. That is the highest rating and indicates that the non-profit “exceeds industry standards and outperforms most charities in its cause.” This rating ensures high-impact giving. Due to the criteria used by Charity Navigator, not all of the organizations listed above have been evaluated (some are too small, some are too young, one is religiously affiliated, etc.). I have made sure, however, that all those listed that have been evaluated by Charity Navigator are four-star charities. If you don’t have dollars or books to give, please consider giving your time to a local library, literacy mentoring/tutoring program, or school. Don’t forget to post about your giving on social media on DECEMBER 2, 2014 with the hashtag #GivingTuesday to spread awareness of the movement and encourage others to give! HAPPY THANKSGIVING . . . and HAPPY GIVING!! This entry was posted in Not a book review and tagged #GivingTuesday, Books, Giving, Literacy, Non-profit, Reading. Bookmark the permalink.